Regular readers of this site will know that I originally never fully embraced the ‘all-worshiping-never-questioning’ adoration that most beauty journalists had for ANR. It always seemed that any time there was a ‘Top 10 Must-Have’ article in the beauty press it included this. Almost by default. Well. Now I can get on board the ANR bandwagon. I’ve been trialing this for a while and…. This has been completely reformulated and it’s bloody good. There. I said it. It’s a much lighter consistency – not quite as silicone-heavy as the previous formulation felt. It absorbs nicely leaving the skin glowing – not ‘tacky’ as before. To be honest I’ve learned from experience writing reviews on here that you could care less about the science. Equally I have zero interest in just regurgitating a press release. Yawn. How will my skin look in the morning? Is it suitable for my skin type/age/concerns? Is it worth the money? No really – is it worth the money? 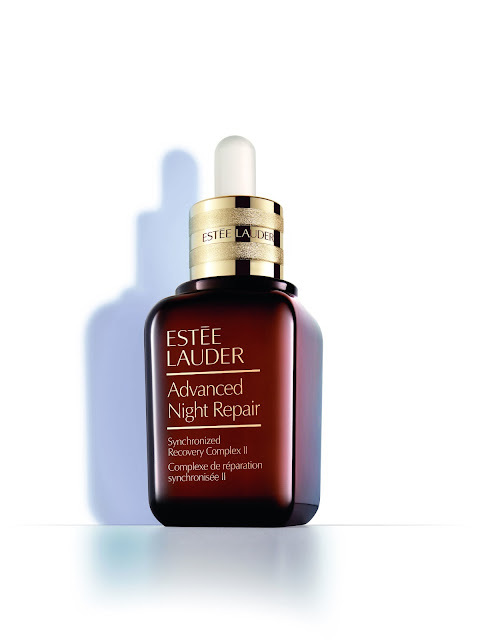 It will attempt to remedy the damage done to your skin during the day whilst you sleep – so while you’re having a kip this will communicate with your skin, soak it with hyaluronic acid, slow down the visible signs of aging, reduce the appearance of your lines and wrinkles, even out your skin tone, put the rubbish out for the night and tidy up. Glowing (like your kitchen after you’ve put the rubbish out and had a tidy up), rested, fresh. Yes – this is the most interesting part for me. Lauder have tested this on over 1000 women including Caucasian, Black, Indian, Hispanic, Asian, Japanese, Chinese and Korean. It has been tested on all skin types and ages. It is oil and fragrance-free and non-comedogenic, thus suitable for sensitive and acnaic skins – my most-asked question. In a nutshell, yes. There are far too many overpriced products on the market for my liking these days – this is not one of them. This is so far from the original (to my mind) that if you blind tested people who use it they would not recognise it. That’s not to scare those of you that already adore it – this just takes it to another level. New Advanced Night Repair Synchronized Recovery Complex II starts at £48.00 for 30ml and is available on EsteeLauder.co.uk in August. Don’t buy it yet – that’s not this one! Next Post I’m doing something I NEVER do.